Fungi are multi-cellular organisms that can be both beneficialchloroplastsdampdecomposinginfectionmicroscopicmildewpenicillinspores and harmful to humans. They do not photosynthesise as they do not contain beneficialchloroplastsdampdecomposinginfectionmicroscopicmildewpenicillinspores . 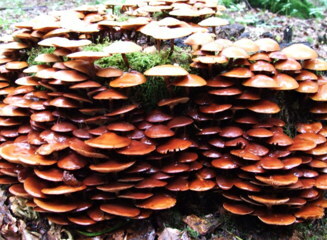 Fungi obtain their food by either beneficialchloroplastsdampdecomposinginfectionmicroscopicmildewpenicillinspores dead organic matter or by living as parasites on a host. Fungi range in size from being beneficialchloroplastsdampdecomposinginfectionmicroscopicmildewpenicillinspores to very large and include mould, mushrooms and beneficialchloroplastsdampdecomposinginfectionmicroscopicmildewpenicillinspores . Harmful fungi are those which can cause an beneficialchloroplastsdampdecomposinginfectionmicroscopicmildewpenicillinspores , or are poisonous to eat. Others can be beneficial or harmless e.g. Penicillium produces the antibiotic beneficialchloroplastsdampdecomposinginfectionmicroscopicmildewpenicillinspores . They spread through the air in small hard seed-like beneficialchloroplastsdampdecomposinginfectionmicroscopicmildewpenicillinspores . When these spores land on bread or fruit they open and grow under beneficialchloroplastsdampdecomposinginfectionmicroscopicmildewpenicillinspores conditions.